One of my favorite things about Paris is that although it is a cosmopolitan and densely populated city, there are plenty of opportunities to explore natural settings. With the spring season coming upon us, Parisians will soon be flocking to the parks and gardens that are speckled throughout the city, which are often filled not only with unique plant life, but with entertainment and historic artwork as well. Whether you’re in search of green space to ready/study for your ISA Paris courses, to picnic with friends, or to simply take a walk in the fresh air, there is sure to be a nearby park that fits the bill. In fact, there are over 400 parks and gardens in Paris! Also known as la Coulée verte René-Dumont, the Promenade Plantée might be my favorite garden in all of Paris. I love taking long, ambling walks, so strolling through this three-mile garden walkway elevated 30 feet above the street is the perfect way to spend a morning or afternoon. The Promenade Plantée was built along an abandoned viaduct; it offers up spectacular vistas of the Parisian rooftops on either side, in addition to all of the flowers and plant installations stretching across it. As a pedestrian on the street below the Promenade Plantée, you wouldn’t even know it was there, which makes you feel like you are in on a beautiful secret every time you traverse the path. 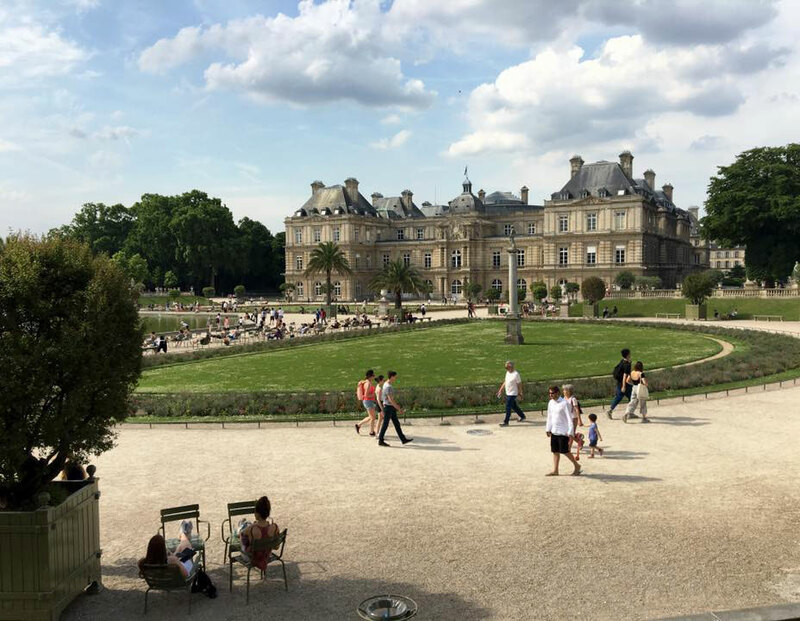 The Luxembourg gardens are located right in the heart of Paris in the sixth arrondissement, very near to two ISA Paris host universities: the Institut Catholique de Paris (la Catho) and the Sorbonne – Cours de Civilisation Française de la Sorbonne. The gardens are quite lush and feel like an oasis around an otherwise busy part of town. On the premises, you will find many opportunities for exploration; you can visit the impressive sculptures and artwork, six tennis courts, the fountains where locals like to float their mini sailboats, and sometimes even see Guignol puppet shows. When I was an ISA student at the Catho, friends and I would often grab crusty baguette sandwiches from nearby boulangeries between class and picnic here in the open air. This 60-acre park in Northeastern Paris (near to the American Business School Paris) has been a beloved part of the city ever since it opened in 1867. Parisians especially enjoy walking and running there since it is so vast, and it’s also a great place for indulging in a picnic with friends as the sun sets. The park is notably hilly/sloped and boasts caves, waterfalls, a man-made lake, bridges, and attractively situated exotic and indigenous plant life. The most famous feature to be found in the park is the Temple de la Sibylle, which is perched on a cliff above the lake and was inspired by the Temple of Vesta in Italy. 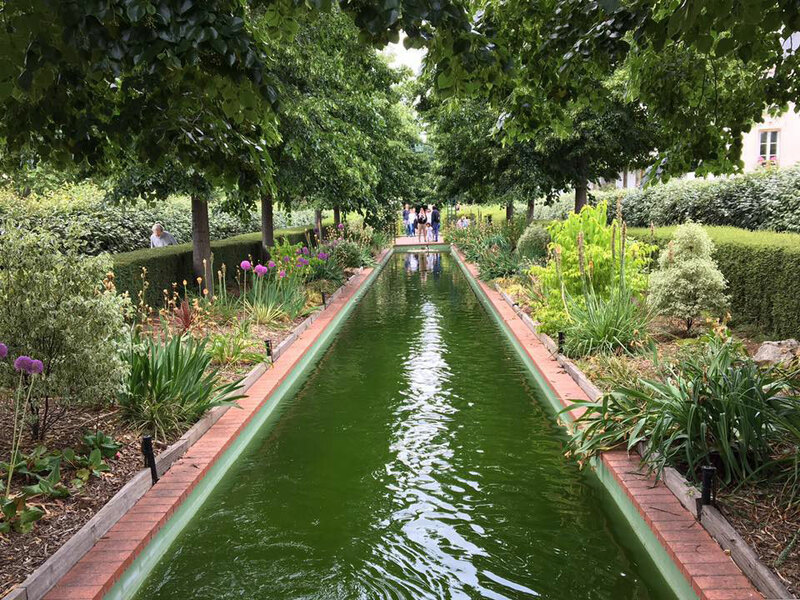 While these are a few of my favorite parks and gardens to visit in Paris, don’t forget to explore those near your quartier. It’s a phenomenal way to live like a local and discover the unique vibe of your neighborhood when you’re studying abroad. Want more information about study abroad options in Paris?